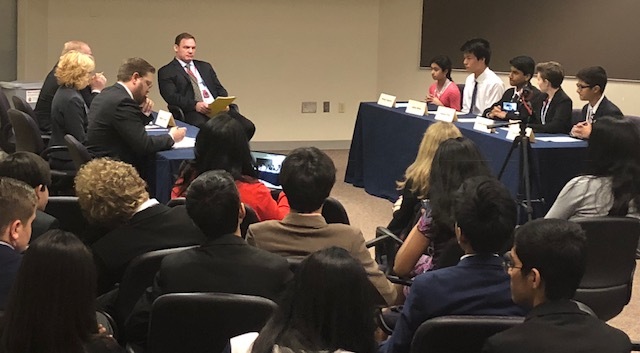 Law professors, judges, government representatives, lawyers and educators interrogated local middle school students from Rachel Carson Middle School this past weekend for the final We the People Civics and Constitutional law national championships. Read more about their front page story on the Fairfax County Times here. The Rachel Carson Middle School students made it to the front page of the Fairfax County Times! The judges asked a range of challenging questions to these precocious middle school students. They asked about building a wall on the border of Mexico, the propriety of individuals with dual citizenship, whether there should be a ranking system for immigrants, if the president and executive branch have too much power and whether the framers, if they could come back in modern times, would make any changes to the Constitution. To ask 12 and 13-year-olds these tough questions is astounding and yet the Rachel Carson Middle School students handled these questions with poise, intelligence and confidence. A group of Rachel Carson Middle School students participating in the We The People 2018 national championships. Due to their exceptional teacher Cynthia Burgett, support from parents and staff at RCMS and a lot of hard work, this public junior high school has appeared in state, regional and national championships five years in a row! “The amount of pressure is enormous, with the questions from the panel, the crowds and the amount of knowledge about our system of government, courts and political system,” notes volunteer coach Doug Landau. 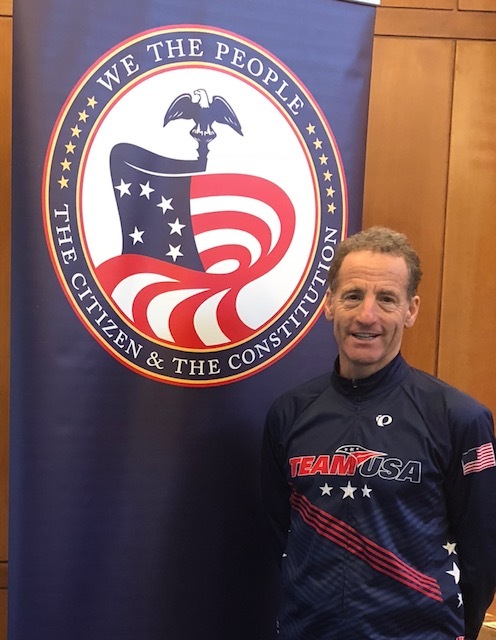 Volunteer coach Doug Landau, the attorney at Abrams Landau, Ltd., attended all the presentations on Saturday and after his triathlon on Sunday morning, he was at all of the sessions filled with encouragement and praise for his hardworking charges. He has also been there for his students all day yesterday—the final day of the four-day national competition. Landau was also able to finally meet many of the parents, who could not take off time from work in order to volunteer during the school day or attend other competitions. “The pride on the parents’ faces from their son or daughter having made it this far was wonderful to behold. 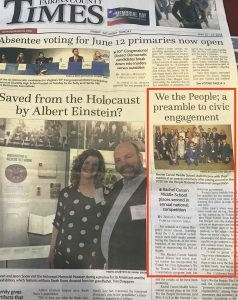 In addition, there were ‘alumni’ from my past classes who are now in high school or college who came up to tell me how wonderful their experience was with We the People competitions and studies,” said Landau. 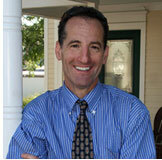 This is attorney Landau’s fifth year assisting Cynthia Burgett’s middle school class in these endeavors. He notes that he learns enormously every year from these bright, inquisitive and hardworking public school students.